Company suggests you download some Street Fighter and Monster Hunter in time for the holidays. With the holidays upon us, Capcom recently sent a mobile gift guide that highlights four of its biggest, most impressive iPhone and iPod Touch games. Have you downloaded these yet? Now appears to be as good a time as any. Street Fighter IV: Volt perfects the acclaimed iOS fighting game with the addition if WiFi support for V.S. mode. Players can now battle fighters on opposite ends of the earth for the coveted "World Warrior" title. 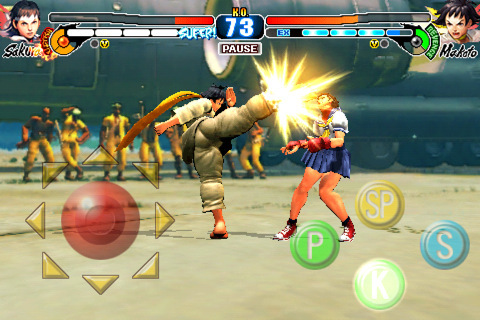 Street Fighter IV: Volt for iPhone is played in the classic Street Fighter 2D perspective with additional 3D camera flourishes. A unique four-button control system has been created, with a host of new special moves and features integrated into the gameplay system. 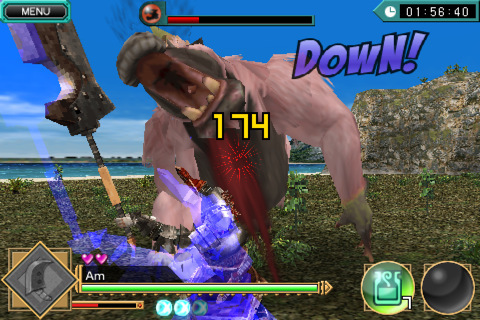 [I]Monster Hunter: Dynamic Hunting transports the player to a fantasy environment where massive creatures roam the land. In epic encounters against titanic beasts you'll battle claw against sword for glory and survival. Players interact with the game using a new intuitive control system. Eschewing the typical D-pad, players swing their weapon in Monster Hunter: Dynamic Hunting by tapping the target with one finger. Blocks can be performed by tapping the screen with two fingers while evading is accomplished by sliding two fingers left or right. Basic movement can be accomplished by sliding a single finger, left or right. The result is an effortless control scheme that takes full advantage of the device's touch screen. 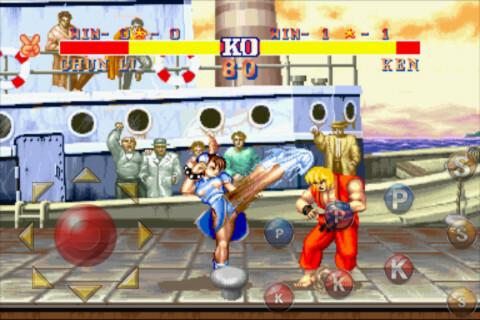 Street Fighter II Collection includes three of the original and renowned fighting games from the franchise together in one app: Street Fighter II, Street Fighter II: Champion Edition and Street Fighter II: Hyper Fighting. Players can relive the epic fighting action of these classic games with tailored features for iOS, an easy-to-use one button finishing move and competitive network play via Bluetooth support. Play Resident Evil 4 Platinum, the game that changed survival horror forever! Experience one of the most thrilling chapters of the Resident saga in an all new way. 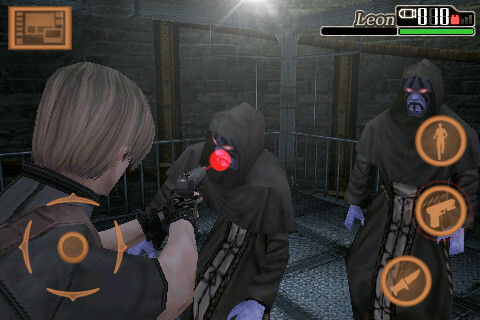 Engage in running gun fights against crowds of enemies utilizing Resident Evil 4's intuitive tap interface. Face an enemy quicker, smarter and scarier than any zombie and put your skills to the ultimate test.